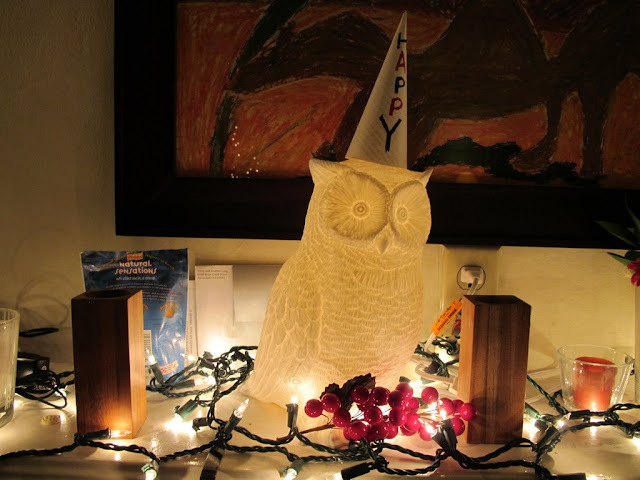 It's 2011 and with the new year comes a new feature for Bon Appetempt! Introducing: The Kitchen Visit. Inspired by my friend, artist Jeana Sohn, and her lovely blog’s weekly Closet Visit, I began thinking about doing something similar every so often for those of us curious about the cooking, pantry items, and general goings-on of other people’s kitchens, and by other people, I mean people like you—home cooks, non-chefs, attempting recipes at home. And well, I couldn’t be more excited about the first installment: A visit to the kitchen of my friends, Angeline Shaka (on the left) and Gabrielle Calvocoressi (on the right), and a potato pierogi attempt, all in one. Growing up, my mom was always requesting my presence in the kitchen while she cooked. "Just sit with me," she would say, and as a kid, I understood this desire on a basic humans-like-company kind of level, but making these pierogi with Gaby, Angeline, and Heather, I was reminded of not just the simple pleasure of other people’s company, but also the team mentality and camaraderie in working toward a shared goal. Each of us couldn't wait to eat these Polish-by-way-of-Pittsburgh dumplings and so each of us wanted pierogi perfection. Pierogi were your idea! When attempting something that, let’s face it, is much more commonly purchased pre-made and/or frozen, I’m usually inspired or motivated by something fairly specific/irrational. 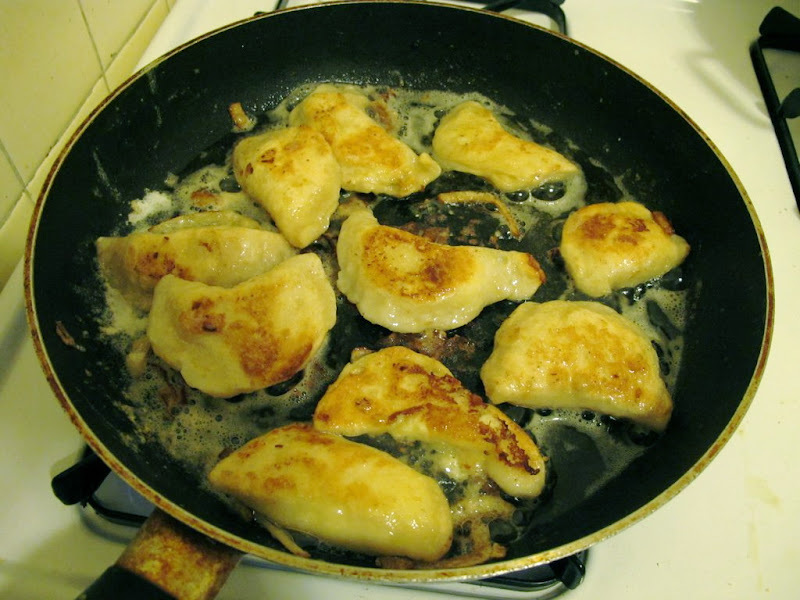 What inspired you to take on the pierogi? Gaby: Like Martha Stewart I often say my favorite kind of food is Japanese, but really it’s dumplings. I’ve loved potatoes forever. When I was five for Christmas I asked for potatoes so I could learn to cook them lots of different ways. So you can imagine what a dumpling filled with potatoes does to my heart. I also grew up in a place where there was a big Polish population so kielbasa and pierogi were a pretty ordinary part of my life. 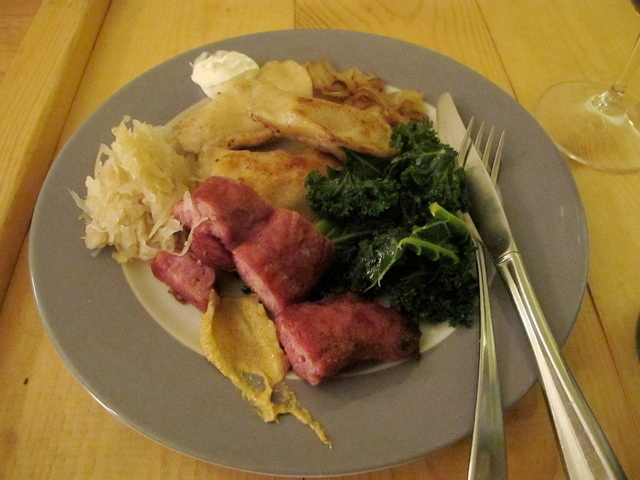 Kielbasa was a dinner I’d cook for my father when he came home from work so when I went on this one food blog and saw a recipe for pierogi, I got super excited. The only problem was that this recipe called for using gyoza wrappers and that goes against my idea of adventure; so I started looking for a more authentic pierogi recipe. At the same time I asked Heather if she wanted to come over for pierogi and she said, “That would be an amazing attempt.” And my heart skipped a beat; we’re huge fans of bon appetempt and were really excited to be a part of it. Angeline: This event really was Gaby’s dream from the start. Was there any part of the process that surprised you? 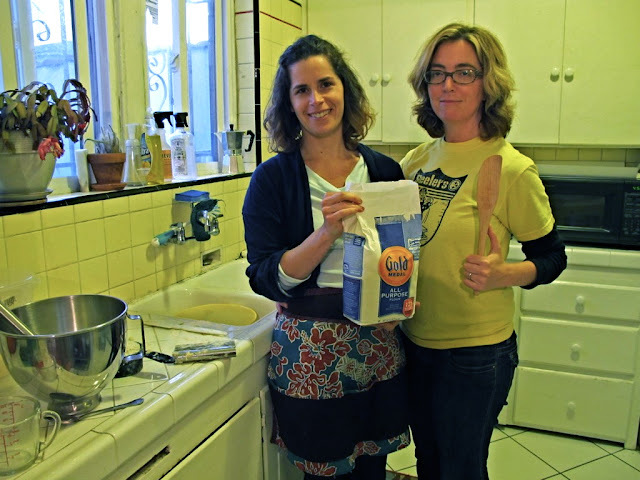 A: I was expecting the dough to be the hardest part and it was, but then once we figured out the first recipe was crazy and took Big Martha’s advice* to let our instincts guide us, it was so much easier than I thought it would be. Most of the dough I’ve made lately has been the kind where if you work it too much it gets tough and loses its deliciousness. I was relieved that this kind of dough was much less fussy than all that AND that you don’t need to have 70 years of experience (ahem, “little” Martha) to successfully make a pierogi. *For extra guidance, pre-attempt we watched this video of Martha Stewart and her mother, Big Martha, make pierogi. I highly recommend watching for many reasons. G: I was in awe of Amelia and Angeline. Also of Heather Taylor’s Black Swan rendition. 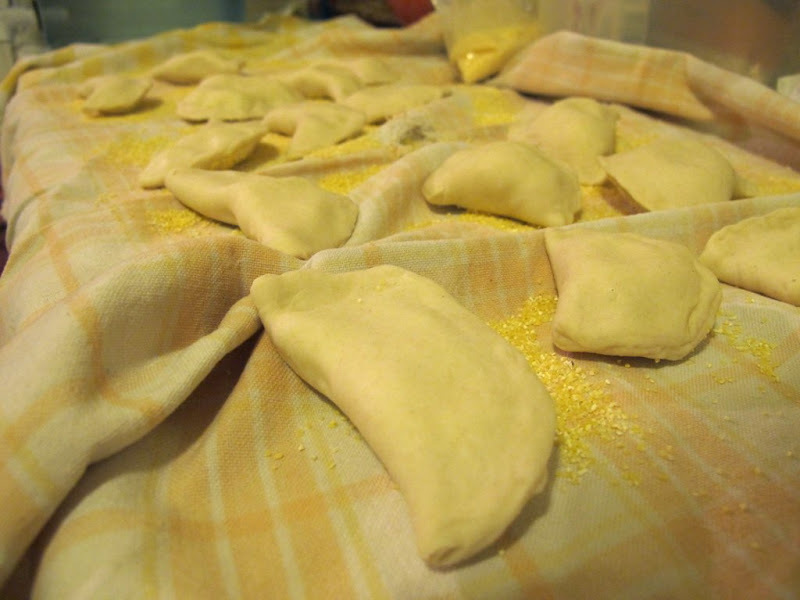 I would also recommend listening to Rihanna’s “What’s My Name” when you’re making pierogi. A: I might have a few more options for fillings…like maybe sautéed mushrooms or even put some of the caramelized onions inside the dumpling. Other than that I just think it’s essential to eat them (and preferably always make them) with fantastic people you can laugh with. G: Absolutely. I think it would be a lot less fun to make them alone. It’s definitely a party. A: Yeah, that’s because they do take time and are somewhat labor intensive. The food was delicious and the people uber cozy. Would you two say you have a philosophy when it comes to entertaining? A: Well, yes. We like to create cozy when we entertain. We always have. Gaby’s sense of adventure and the way she infects all of us around her with that sense of adventure are essential; and then I bring to it an ability to execute the adventure that she is imagining—let me clarify that Gaby is an incredible cook, I don’t mean to imply she isn’t. And like I said earlier, you can’t go wrong if the friends you’re entertaining are all amazing and I’ve gotta admit that I think all of our friends are the MOST remarkable human beings I’ve ever met. G: I completely agree with Angeline. My motto for every part of my life is “What’s going to happen?” Meaning I’m always up for the possibility of tremendous success and also the possibility of complete failure. Which is important because cooking, like friendship, is about love and passion and the possibility that everything can go wrong and doing it anyway. It’s a tight rope, but the best kind of tight rope. I think a pretty good bar of friendship is, would you want to make a meal with someone and then eat it with them? That night was so special because everyone in the room was excited to be there, willing to take a risk, and they also bring that same kind of intensity and joy into their everyday lives. Not that it’s a competition, but do you think we had more fun making pierogi than Martha Stewart and her mom did during that video? A: Waaaaay more fun. Just sayin’. Did you know that at Pittsburgh Pirates games it’s customary to have a live action pierogi race that is officially titled “The Great Pierogi Race N’at" and that “N’at” is Pittsburghese for “and that”? A: I did not know this information. I’ve never actually been to Pittsburgh and aside from Friday Night Lights have zero interest in football. G: I’m the pierogi on the left. All photos (excepting the one of Heather laughing while potato ricing) were taken by Heather Taylor. Thanks for letting me visit, Gaby and Angeline! 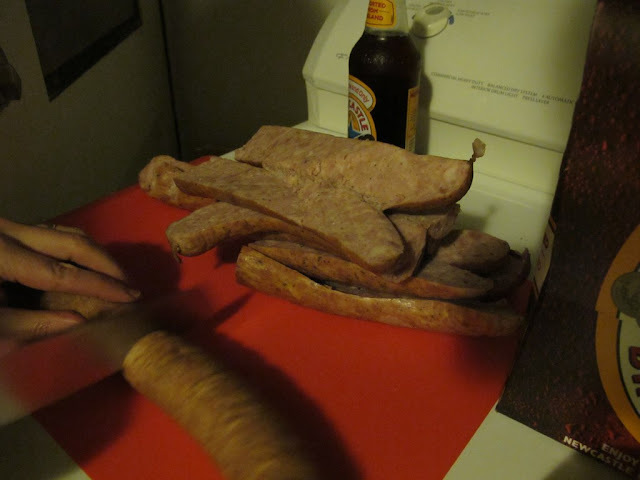 And by the way, the latest issue of Saveur has a recipe for homemade kielbasa. Thoughts? 1. Make the dough: Whisk together egg and sour cream. Whisk in milk and water. Stir in flour, 1 cup at a time. 2. 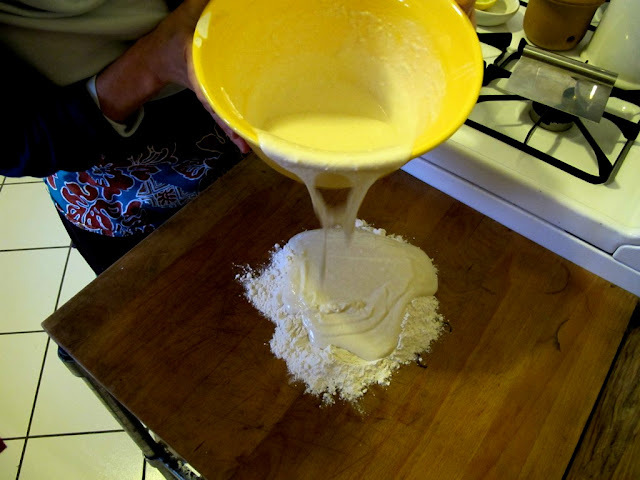 Turn out dough onto a floured surface. (Dough will be loose and sticky.) Using a bench scraper, turn and fold dough to knead, dusting with flour as needed, until elastic and no longer sticky, 8 to 10 minutes. 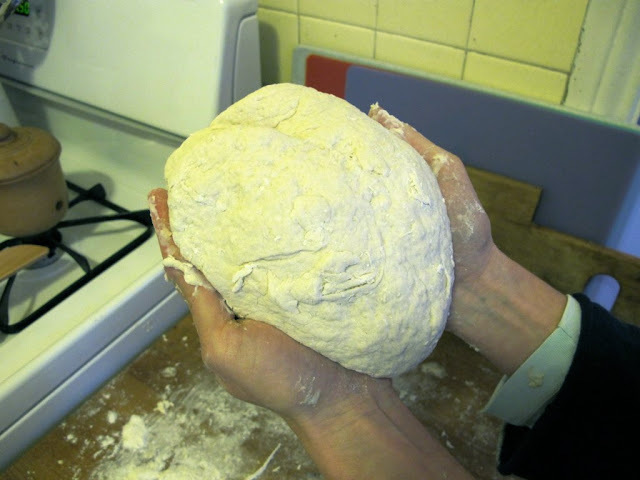 (Dough will come together as you knead it. Be careful not to add too much flour, since it will toughen the dough.) Cover with an inverted bowl; let rest for 1 hour. 3. Divide dough into 4 equal pieces. Line a rimmed baking sheet with a clean linen towel, and dust generously with cornmeal to prevent sticking. 4. 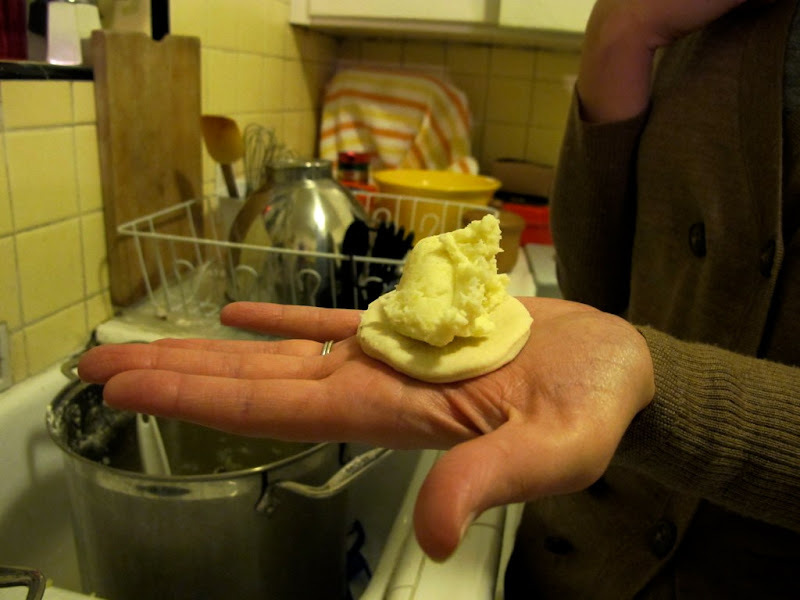 Roll out 1 piece of dough on a lightly floured surface into a 1/8-inch-thick round (keep other pieces covered). 5. Cut out circles very close together, using a 3-inch cutter or glass (5 inches for the plum version). Cover with plastic wrap to prevent dough from drying. Repeat with remaining dough. 6. Fill pierogi: Place filling (recipe below) in center of each dough circle. Bring a large pot of salted water to a boil. 7. 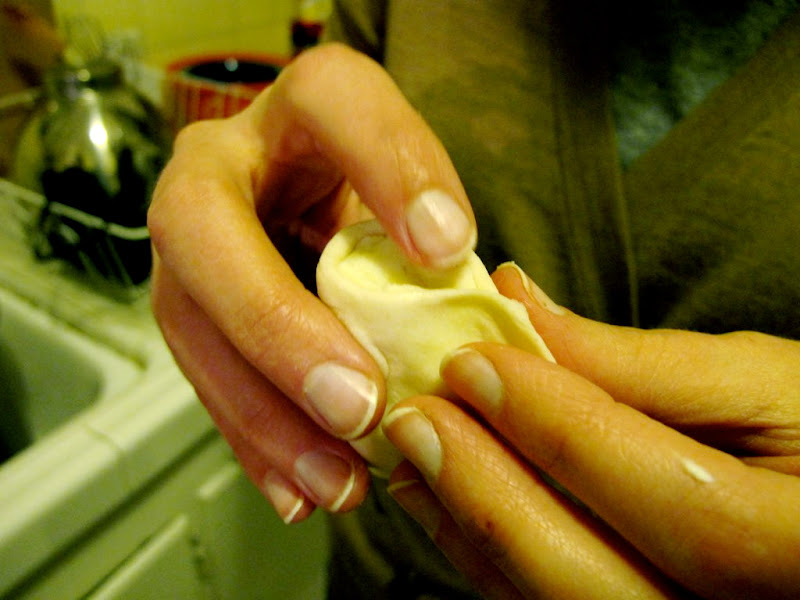 Holding 1 circle in your hand, fold dough over filling. Pinch edges, forming a well-sealed crescent. 8. Transfer to cornmeal-dusted towel, and loosely cover with plastic wrap. Repeat with remaining dough circles and filling. Working in batches, transfer pierogi to boiling water. They will sink to the bottom and then rise. Once they have risen, cook through, about 2 minutes more. Coat a platter with half the butter. Transfer pierogi to platter using a slotted spoon. Drizzle tops with remaining butter, and season with salt. 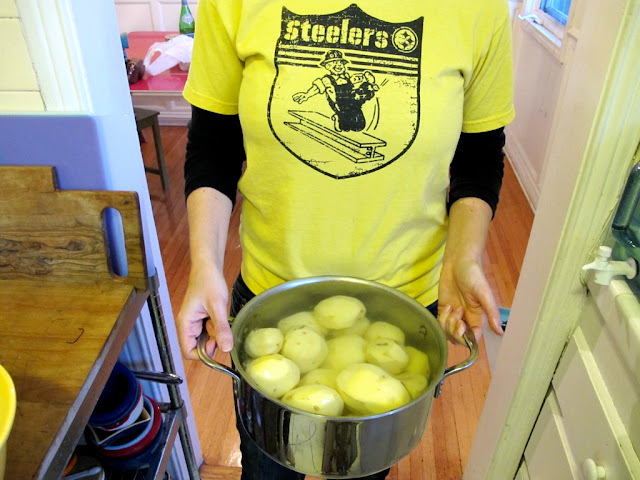 Place 5 pounds (about 12 medium) peeled and quartered Yukon Gold potatoes in a large pot, and cover with cold water. Season with coarse salt. Bring to a boil; cook until fork-tender, 8 to 9 minutes. Drain; pass through a ricer. Stir in 8 ounces room-temperature cream cheese and 4 tablespoons melted unsalted butter. Season with salt and freshly ground pepper. 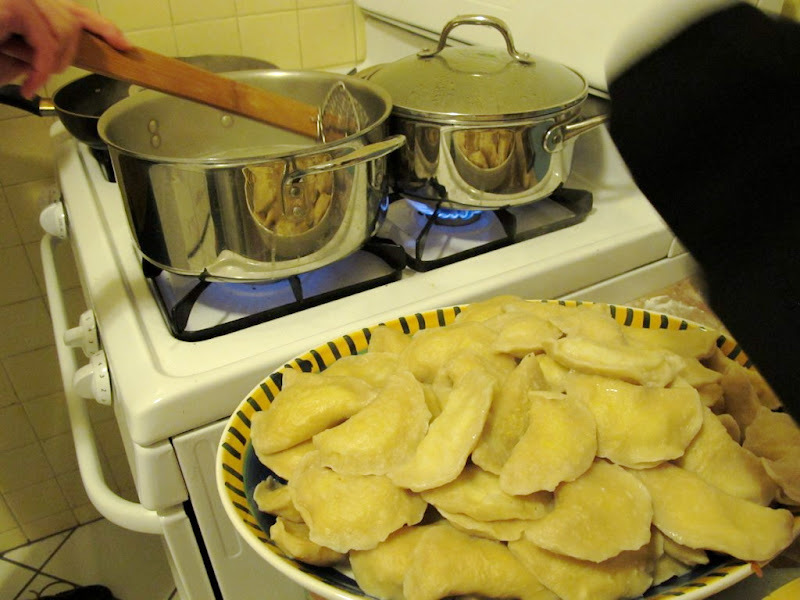 For each pierogi, form filling into a 1 1/2-inch oval (about 1 tablespoon plus 2 teaspoons). Melt 2 sticks unsalted butter in a small saucepan over medium heat, swirling occasionally, until dark golden brown, 8 to 10 minutes. I can't remember having a better meal n'at. Also, if i was polish, i would name my dog Perogi. So, "N'at" for Pittsburghers is kind of like the Canadian "eh"? Yinz look like you had a lot of fun. The pierogis look better than the ones dawntawn. Also, that big dough ball looks like a brain n'at. Those look AMAZING. Love the Kitchen Visit! When/Where is the next one??? i can't believe i missed this. it looks like you guys had a lot of fun together. go kitchen visit!! i kind of want to cry after reading this. it's really sweet and girlie and i love it! i have also NEVER had a pierogi. i'm embarrassed. That's how we might say it in Chicago. Where we also eat lots of Pierogis! Amelia, I love this Bon Appetempt. You guys are having way too much fun! I remember watching Martha make pierogi on her show years ago and I can also picture the episode with Big Martha. Isn't it interesting how much influence Martha has had on all of us? Anyway, that is just the kind of cooking experience that I enjoy, and I hope you continue to have your "Kitchen Visits." I turned the rest of the potato mixture into dumplings for psari plaki. It was amazing. A worldwide Attempt! Really, it was the best night ever. Thank you so much Amelia & HBT! @gaby: what on earth is psari plaki?! and can i have a bite? @keepfeeling: we must get pierogi sometime! tho that spicy octopus sounds better right now. @Sunday Taylor - it's fascinating! she's even influenced my 92 year old grandma who I'm visiting next week and really really really hope to do a kitchen visit with! we shall see! !